Are America’s colleges promoting social mobility? Back in the 1980s, Derek Peterson was admitted to Stony Brook University in New York as part of a special program for low-income students who show potential but aren’t fully prepared for college. But he did do it. 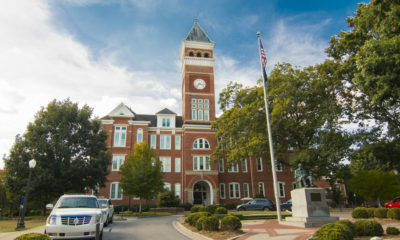 Peterson graduated in 1988 with a degree in computer science and applied mathematics. Now he’s a wealthy tech entrepreneur and he’s setting up a scholarship at Stony Brook to honor his father, who never finished college. Peterson is an example of someone who rose from modest means with the help of a college degree. Stories of upward mobility were once a key feature of American life. 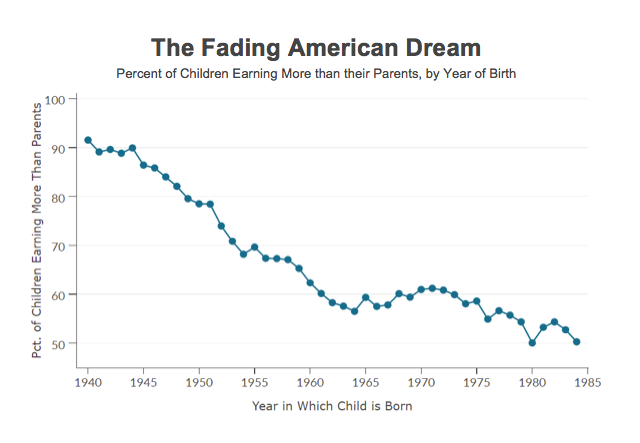 Children born in the 1940s were almost guaranteed to grow up and earn more than their parents did. But upward mobility has stalled, according to Brown University economist John Friedman. “By the time you get to when I was born in 1980, only 50 percent of kids earn more than their parents do,” he says. Friedman – along with economists Raj Chetty at Stanford and Nathaniel Hendren at Harvard – started the Equality of Opportunity Project to try to figure out what has led to the erosion of the American Dream, and how it can be revived. One of the things they’re investigating is the role of higher education. In particular, they want to know which colleges in America are doing the most to promote upward mobility. They examined millions of anonymous tax forms and financial aid records covering everyone who went to college in the United States between 1999 and 2013. They’re now looking at the family income of every student before they went to college, and again when they are in their 30s. With this data, Friedman and his colleagues have created a mobility report card for every college. A college’s mobility rate is defined as the percentage of students who come from the lowest income families (the bottom 20 percent of the income distribution) and make it to the top (the highest 20 percent). It turns out Stony Brook University, where Peterson went, is one of the best colleges in America when it comes to promoting mobility. Listen to the podcast to find out what else the researchers learned.